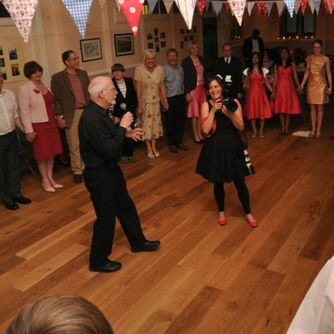 Barn Dance and Ceilidh Specialists make it really easy to book a Barn Dance or Ceilidh Band and Caller for your party! 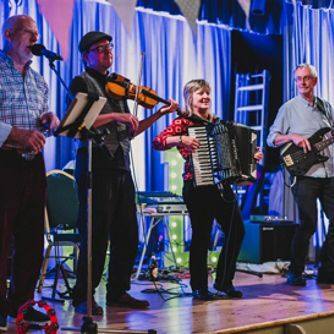 Are you looking for a great Barn Dance or Ceilidh Band with a friendly skilled Caller for a Wedding, Birthday or Anniversary party, or for a public event, church or charity fund-raiser, or large corporate function? If so, you've come to the right place! Would you like help with choosing the most suitable Band and Caller for your party or event? By using this website, all the hard work will be taken out of your search! There are a lot of Bands out there, and the quality and styles vary enormously. 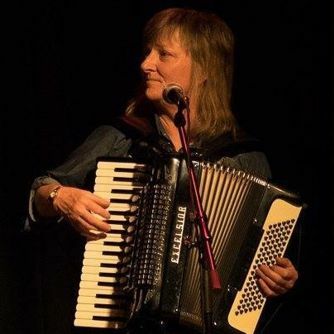 Fiona’s experience of over 40 years in playing for and arranging bands for Scottish and Irish style Ceilidhs, English or American Barn Dances and Hoe Downs means she has great contacts with the most experienced UK Bands and Callers and can recommend the most suitable options for you, wherever your barn dance or ceilidh is taking place, even though Fiona is East Midlands based. Fi offers a personalised efficient service, using her long-standing experience to check availability and book the Barn Dance or Ceilidh Band and Caller for you with minimum hassle, giving you best value for money, whatever your price-range. High quality demo samples, info about the band and Caller and quotes are sent to you by email within about 24-48 hours of initial contact. Usually, a duo, trio or quartet sized band plus Caller is offered, but if it is a very small party or if budget is a key issue, Fiona will offer a solo caller using good quality pre-recorded music or one musician and Caller. 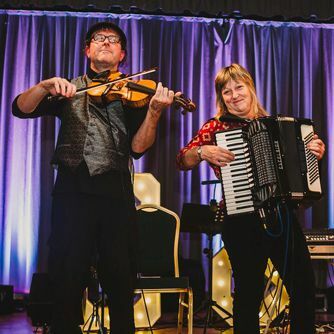 Enlisting Fiona’s help avoids the risk of ending up with a poor quality band or an inappropriate style of music for your function, ensuring you have a terrific fun evening with your friends and family, dancing to good music and clearly called dance steps! Please feel free to contact Fiona by email or phone to discuss your requirements. The occasion - is it a wedding, birthday, corporate, church social, Charity fund raiser, anniversary etc. 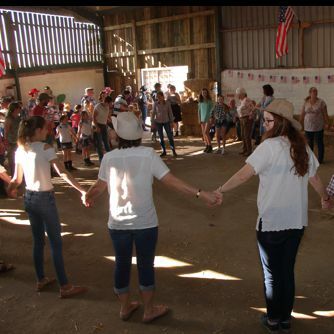 If you are planning a barn dance or ceilidh as a surprise for a friend or family member, please make this clear, so that the surprise isn't "blown" by mistake by a 'phone call or email! "We booked these guys for a barn dance we were holding for a corporate event. They went down a storm! Managed to get a bunch of non-dancing folks out of their seats and up dancing all night. Really easy to follow moves and some fantastic music. Great communication before and running up to the event too, including their requirements for power and parking etc. Would 100% recommend them for any similar events!" "Fiona is our saviour! At short notice she managed to source a Ceilidh band for our corporate event and we all had a fantastic evening! It was a pleasure working with Fiona, she pulled out all the stops to make sure our event was a great success. I would recommend her to anyone looking for a band for their party or event. 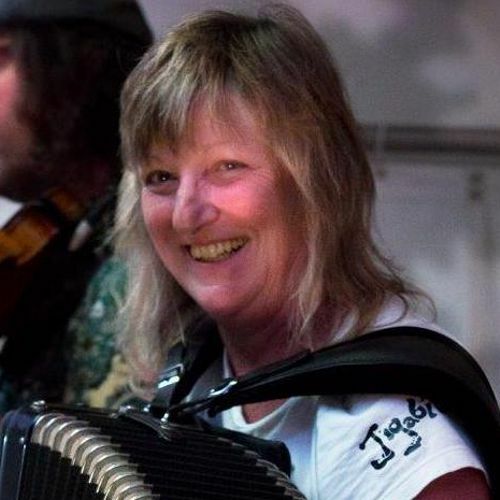 5 stars"
"Fiona has been arranging ceilidh bands for me for many years. She has always been able to supply either her own band or another suitable band for me, no matter what part of the country I have asked for! The bands have always been exactly suited to our occasions, which have been great fun. The booking process has always been handled cheerfully and efficiently. Highly recommended!" "From the moment I contacted Fiona via her website I was impressed by her friendliness and level of professionalism. Her wealth of knowledge and experience enabled her to offer the kind of advice we were very much in need of to ensure our day went well. Needless to say the entertainment she provided was first class and everyone had a great time. Competitively priced too I might add!" "We can highly recommend working with Fiona to anyone looking to book a Ceilidh band. Her communications with us were always prompt, transparent and informative and she made sure we had all the information we needed to secure the right band for our event. 5 stars!" 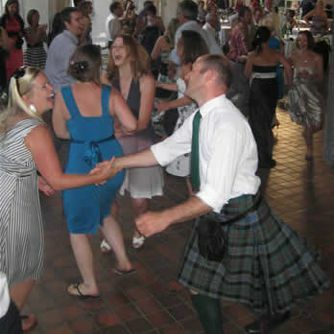 "Fi is a total professional and expert in anything to do with ceilidhs and barn dances. She has first hand knowledge and experience to enable her to organise a suitable band for any such event and ensure that it is a success. I thoroughly recommend this service." "Always a pleasure to have ceilidhs organised by Fiona. Utterly professional & very helpful." "Fiona was an absolute pleasure to talk to and I wouldn't hesitate to recommend her to anyone looking to add a dash of fun to their next event." "Fiona is totally professional and honest in the way she runs her business. 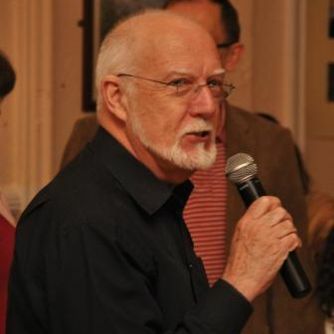 You will get years of experience and knowledge about what will work at your event and it really matters to her that you have a fantastic day and that the music is perfect for the event." "It was lovely to meet Fiona and I would highly recommend her to anyone looking for a band for their party or event." 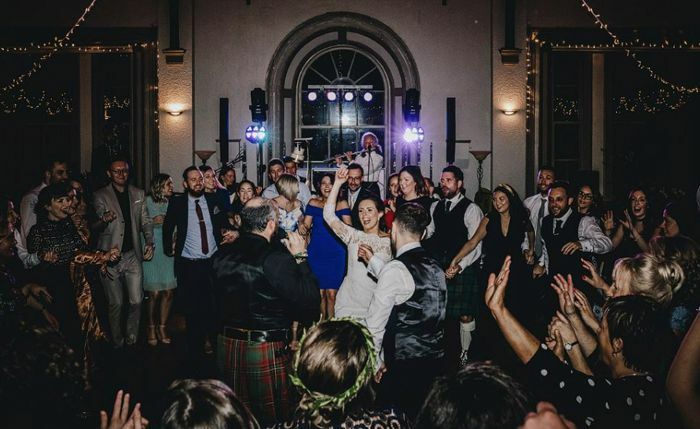 "Fiona's help in finding a Ceilidh band for our wedding day was both professional and meticulous. The Ceilidh Band was not only good value, but arrived and set up with no fuss, not to mention the fact that they were awesome! 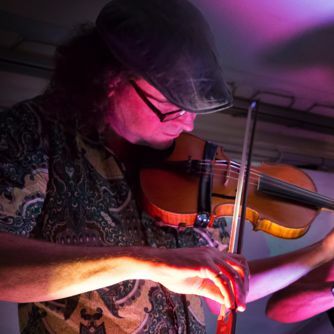 We can't thank Fiona enough for taking the stress out of finding our evening's entertainment and can't thank the band enough for such a wonderful evening." "When I initially spoke to you on the 'phone, you were confident that you could provide what I wanted - you certainly did that. Thank you for helping to make our day so memorable." "I wouldn't hesitate to recommend your services to any other couple looking for an entertaining evening which appeals to all ages. Thank you again." "You're doing a GREAT job of making people's weddings happy! What a lovely service: Efficient booking, helpful advice, and most of all, a rip-roaring time! 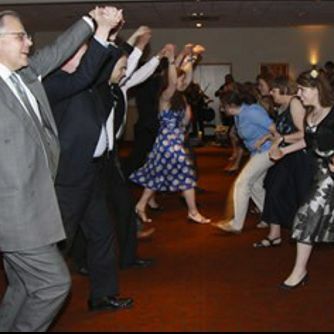 We and all our guests had the most wonderful time dancing the night away...I didn't want to leave at the end of it!"